I have found that I'm quickly turning into one of those parents. You know the ones, the kind that, when asked by their children for a new toy or the latest gadget, respond with, "Back when I was young..." Geez, I sound old. Really though, back when I was young, if my mom wanted to show people pictures of my or my brother's latest accomplishments, a recent event or just a beautiful sunset, she brought out actual photographs. As well as having to worry if fingerprints were going to get on the image or if the paper would get bent, carrying around pictures was just not all that practical. These days, technology has made life so much easier and more convenient. And, thanks to WholesaleKeychain.com, much more affordable as well. Which of these would be a more convenient way to have 100 photos with you when you're out and about? The Digital Photo Keychain & Keyring with Stand - Silver is a simple and stylish way to always have your favorite photographs with you. Compatible with both a PC or Mac, it does not require any special software or skills so anyone can have their pictures uploaded and ready to go in minutes. Right out of the box, I plugged the provided USB cord into the keychain and my computer and was already on my way. Although the program did not automatically start, the provided instructions told me exactly where to look to begin. After opening the window, I simply browsed to find the pictures I wanted to upload and they immediately popped up in the preview window. After cropping to the dimensions of the frame, one click on the Download button and my photos were transferred right to the Digital Photo Keychain. Viewing them is just as easy on the 1.5" screen, as there are only 3 buttons (forward, backward and menu) right on the keychain itself. Hold the menu button for 3 seconds to turn the power on and you're ready to scroll through the images for friends and family. Or, turn on the slideshow option and let the show happen all on its own. Two features that I really appreciate from the Digital Photo Keychain & Keyring with Stand are the ability to display a clock (I never know what time it is) and the auto shut-off. During the time I've used it, I've set down this keychain and walked away multiple times, so the fact that it turns itself off and saves the battery is a big plus for me. For the convenience of having a personal mobile photo album right in your hand, the Digital Photo Keychain & Keyring with Stand is a great little gadget to have. 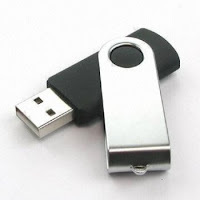 The instructions suggest to charge the battery once a month, which is easily done by plugging it right in to your computer, and uploading or removing pictures is simple enough that even those with limited knowledge of technology will be able to do it. For individual or large orders, WholesaleKeychain.com has keychains and keyrings for every personality. 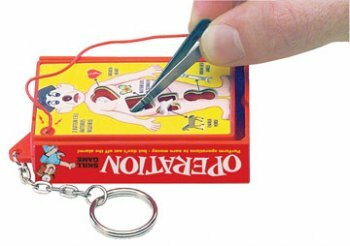 From fun and whimsical Disney Keychains and Games & Toys (who doesn't need an Operation Game Keychain for impromptu entertainment?) to practical Flash Drives and Pepper Spray, they have it all. For a personal touch, WholesaleKeychains.com even offers engraving to commemorate any occasion or create the perfect gift. One lucky person will win a Digital Photo Keychain & Keyring with Stand - Silver AND have the option to have it engraved! To enter to win: Visit WholesaleKeychains.com and tell me which other of their huge variety of keychains you like. 1 Extra Entry if you tell me who this keychain would be for if you win (it's okay if it's you!) and what pictures might be stored on it. 3 Extra Entries if you blog about this giveaway linking back to Thanks, Mail Carrier and WholesaleKeychains.com. Please leave an address where it can be found. A big thank you to WholesaleKeychains.com for providing a Digital Photo Keychain & Keyring with Stand - Silver for me to review as well as for one lucky giveaway winner. The opinions shared are my own and honest and if you really need to see more, click here to see how I roll. The Monopoly key chain would be great! I would want the key chain. I'm in the Beso giveaway. I like the Monopoly key chain. Entry #1 I subscribe to your RSS feed in Yahoo. Entry #2 I subscribe to your RSS feed in Yahoo. Entry #1 I subscribe to Thanks Mail Carrier by email. Entry #2 I subscribe to Thanks Mail Carrier by email. I would use the keychain for myself and store photos of my friends. The laser pointer keychains are cool! I would love to give this to my mom...she has tons of pictures of her kids and grandkids to put on there. I like the pepper spray key chains, they are bears around here! I like the Nintendo DS Carrying Case Keychain. I would give the keychain to my dad, and I'd store pictures of me, my sister, my friend who's like a daughter to him, and her kids (my and my sister's God-kids). I entered the Oster Blender giveaway. I like the laser keychain...besides the one you reviewed! This would be for me so I can show off pics of my new baby grand daughter! I think the Etch a Sketch keychain looks fun! I'd probably give it to my MIL for pics of the grandkids. Love the Monopoly Game Keychain & Keyring,too cute! I also love the etch a sketch keychain! If I won, I would give this to my dad, who thinks things like this are the best! I entered the cascadian farm giveaway! I love the Etch-A-Sketch keychain!! I would give the keychain to my son with a picture of his daughter Carley...great Father's Day gift. I think the giveaway keychain would be my choice, but I like the flashlight ones, too. I would definitely keep it for myself (might share it with my husband). Whenever I'm at work customers ask to see pictures of my kids (and I'll be going back after maternity leave in June) and this would be perfect! I love the crystal heart keychain! It would be for me!!! I would pictures of my son on it!! I also dig the pill case keychain. I would get the "Bop-It" keychain and give it to my kid. That toy was a huge hit in our house. I'd put pictures of my little girl and give it to my grandmother! We live about 10 hours away so she'd love it! I enterd the Eleven shoes giveaway. I'd put pics of myself and my family on it. swiener1[at]tampabay.rr.com Many thx. 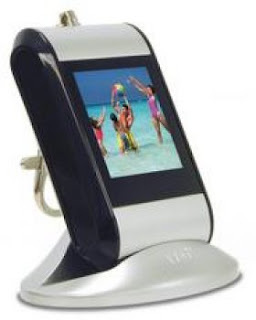 This would be for me and i would have my pet photos on it. I have wanted one of these for my wife for some time.